Thanks for a memorable Summit 2018! See you at Atlassian Summit Europe 2018! Atlassian Summit Europe 2018 is in less than a week, and we are one of the two diamond sponsors. 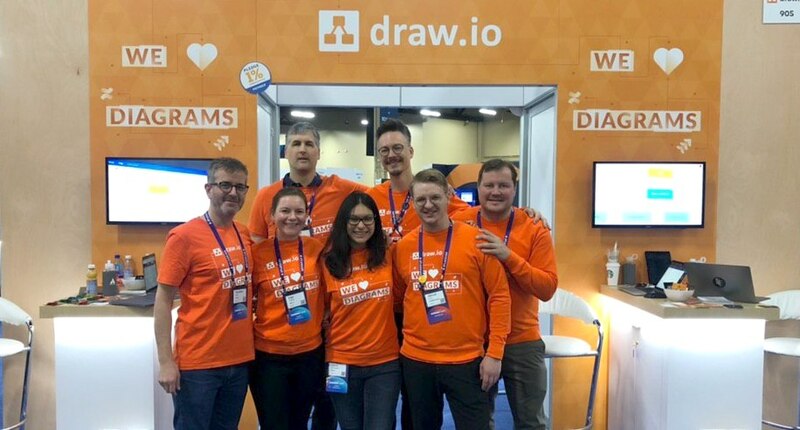 Register for the draw.io information session, 1:1 sessions, drop by our booth or watch our presentation - we look forward to seeing you there! Thanks for coming to see us at Summit 2017! We had an incredible time at Summit 2017. It was great to meet and talk with so many new people, and catch up with everyone we had met before. You gave us a mountain of new ideas and inspiration! The draw.io team will be live-blogging throughout Atlassian Summit 2017 in San Jose on September 12-14 - even if you can't be there in person, you can join us digitally for all of the excitement and news. We'll also be at the first ever Add-on Discovery Day along with nine leading Marketplace add-on developers on September 11.